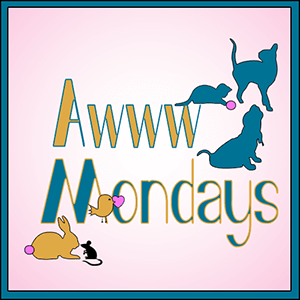 This entry was posted in A-Z Blog Challenge, Blog Hops, Book recommendations and tagged A-Z Blogging Challenge, Awww Mondays, Emmy, I Am Not a Skunk, It's Monday! What Are You Reading? by pilch92. Bookmark the permalink. I could never be tired of your cat books. ~grin~ Best wishes and Happy Writing! And that’s a good tip about veteran discounts. My former Airman and I tend to forget that option. Thank you. 🙂 And thank you to your hubby for his service. We are SOOOOOOOOOOOOOOOO excited here that Emmy’s book is available now! We can’t wait to give it a read – we also can’t wait for you to keep on going and write more books about your crew of kitties in the Pilch residence!!! Excited here, too! Best of luck Ellen and congrats to you and to Emmy! I will be reading it for sure! Hugs!!!! We are also very excited to read Emmy’s book and would love to purchase one. So just let us know what we should do. Have a super day. Good luck with Emmy’s book. I will definitely be checking it out. We know Emmy’s book will do well!! Mom gave up any kind of shopping (other than necessary stuff like OUR treats) for Lent but will be back after Lent is over. How exciting! I am looking forward to reading Emmy’s story. Congrats on Emmy’s book! I will be checking it out. Congratulations! Author, author! Love the cute kitty picture too. Good luck on the new book. It’s fun to chronicle how a kitty got a forever home. Not tired of hearing about Emmy’s story. Hope it is a big success!!! I’m really excited for you and Emmy! I’ll buy a paperback version! Absolutely! We owe the veterans so much, including the four-legged ones. Dad just went to Amazon and unless you have Amazon Unlimited it is not free. No biggie as we got a copy and will do a review to post! We cant wait to read it tonight and we will stop back and let you know how we like it, we know we will! I made a mistake, the free version doesn’t start until tomorrow. Thank you for buying it. We could never tire of your kitties or their stories! Writing and publishing books is such an accomplishment, and you should be so proud of yourself. I cannot wait to read Emmy’s story in I Am Not a Skunk! Congratulations on your book release! This is so exciting and NO, we’re not sick of hearing about it. I hope the world loves reading it. I’ll check back later this week to see if it’s available free on Kindle (it’s currently coming up at $2.99 plus tax, for me). Have a great week, Ellen! Thank you. 🙂 Yes, I made a mistake the free starts tomorrow. I think it’s great you finished the book. Can’t wait to read it. Just bought Prancie’s Prayer kindle edition. Thanks. Your books are great! Is this one on Amazon? Thank you. Yes, the regular and kindle version are on Amazon. Concatulations! This sounds like a pawesome book! We’re happy for you! We can’t wait to read our copy!!! Congratulations! It sounds super fun! I will look for Emmy’s book on Amazon tomorrow and if I don’t miss grabbing the freebie then I’m happy to do a review for you! Thanks for stopping by to dance with me today. I’m playing a bit of catch up this evening since I’ve been gone all day. Happy a2zing, my friend! Wow! This is so cool. And I already know this is AWWWW worthy. I will buy my copy as soon as I can. We’ll review Emmy’s book soon. I almost purred while TW was reading it. How awesome! Congratulations, Ellen! We’re looking forward to reading Emmy’s book! We will never get tired of hearing about Emmy’s book, miss Ellen, we’re just to happy for you. Concatulations on the release <3 Extra Pawkisses to all of you??? Oh, miss Ellen, Granny just downloaded your book and we wanted to say Thank You for the furree copy, that was very kind of you. Will read it soon and give a reply after that <3 Extra double Pawkiss for now???? No, Emmy. You are not a skunk you beautiful princess and we’re so glad you found your happy ending! The new book looks awesome, and features a tuxedo, too. I am in love with it already, and will order a copy from Amazon asap. Purrs and best wishes for a sales hit.